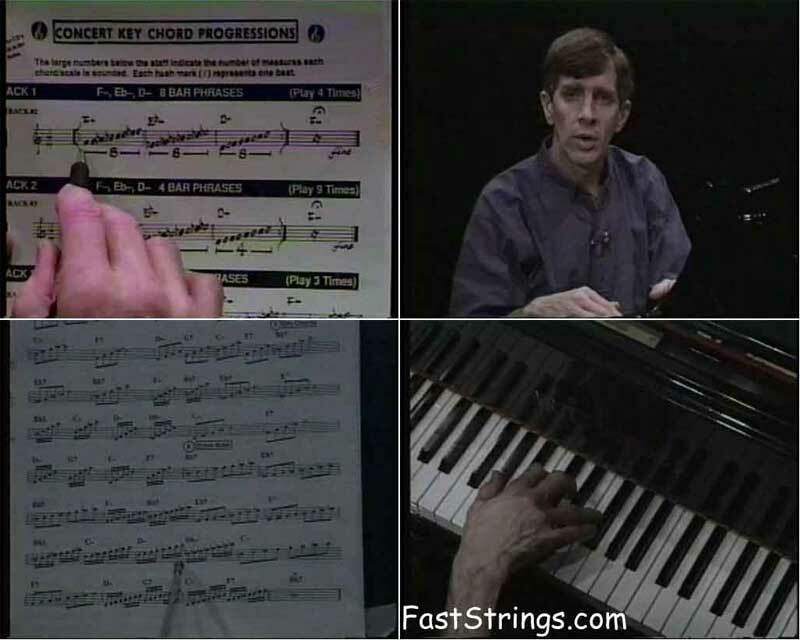 Jamey Aebersold Jazz Anyone Can Improvise download. This nearly two-hour presentation features Jamey at the piano demonstrating the fundamental techniques used by all great jazz improvisers. Includes chord/scale relationships, keeping your place, patterns, the blues and pentatonic scales and their application, what and how to practice, articulation, memorizing songs and more! This presentation not only provides the technical information essential to getting started on improvisation, but it also serves as an overview of the entire creative process that even non-musicians can understand. Jamey also provides much needed motivational material and discusses the philosophy of man’s need to be creative. A complete presentation! Aebersold explains music theory in a practical way. He uses a piano for the examples because it is the best way for him to teach and for us to learn the lessons; however, the viewer doesn’t need to play piano. Once the lessons are heard it is obvious that they applied to almost all instruments. This DVD is closely aligned with the world famous Volume 1 and Volume 24 play-a-longs. The visual, hands-on demonstration makes their concepts easier to grasp. Jamey even plays along with tracks from those two play-a-long volumes, showing proper application of scales to chords and essential practice techniques. Jamey Aebersold gives us a distillation of his many books on jazz improvisation in a 2 hour dvd. The material is simply and clearly presented with strong suggestions as to how start improvising. A word of warning: The listener needs to know basic music theory, – chords and their main types, scales (major, dorian, dominant, half diminished, blue) and their construction – to be able to follow Jamey’s discussion. This dvd is an excellent introduction to the problems of improvising and how to over come them. This dvd is an excellent simple description of how to approach improvisation. Will this dvd alone make you a top notch improviser? No, but with other resources Jamey recommends and a few of his other book / recording sets, and lots of practice this dvd points the way. Jamey speaks clearly with obvious passion for his art. The dvd is easy to listen to, and moves along through the material at a reasonable rate of speed for the listener who knows basic music theory.